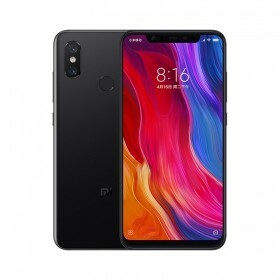 The Xiaomi Mi 8 follows last year&apos;s Mi 6, skipping the 7 to mark the company&apos;s eighth year. The Xiaomi Mi 8 will run Xiaomi&apos;s custom MIUI 10 skin on top of Android. The new, updated skin will feature gesture controls and a driving mode that uses Xiaomi&apos;s own Xiao Ai voice assistant. It will also support portrait mode for single-camera phones. Other cool features include being the world&apos;s first phone to adopt dual-frequency GPS, for more accurate navigation. It shares a similar notch design and vertical rear cameras to Apple&apos;s device. But the Mi 8&apos;s 6.21-inch AMOLED display doesn&apos;t quite stretch all the way to the bottom. And it comes with infrared cameras located at the notch for face unlocking. The rear 12-megapixel dual-cameras will take pretty good pictures. On the front is a 20-megapixel camera using "pixel-binning" technology to combine four pixels into a larger one for better low-light selfies.